Courtesy of WOWSA, Tateyama Hojo Coast, Chiba Prefecture, Japan. 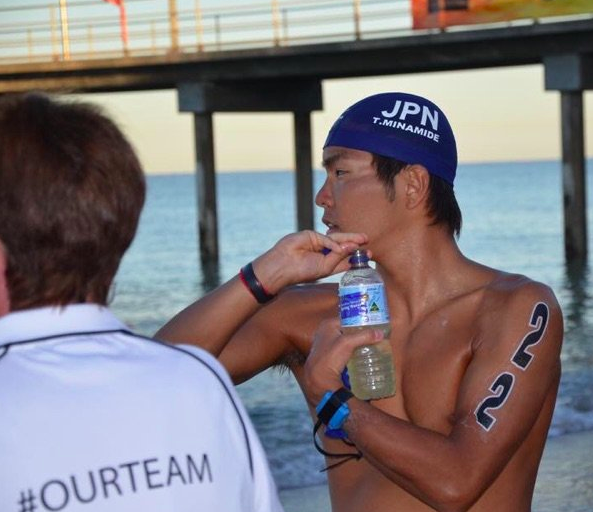 This morning, Taishin Minamide comfortably won the 2018 Japan National Open Water Swimming Championships in Tateyama, Chiba Prefecture over Yosuke Miyamoto in second and Taiki Nonaka in third. Minamide and Miyamoto will represent Japan at the 2019 FINA World Swimming Championships with the opportunity to qualify for the Olympic 10 km Marathon Swim at the 2020 Tokyo Olympics. Japan, as the host nation, will be guaranteed one spot in the Olympic 10 km marathon swim final in Odaiba Marine Park.